We strive to create the best user experience for SAP Partners, Direct and End customers while using Support Launchpad for SAP Business One. We would love to hear your comments and suggestions about the Support Launchpad or any of our SAP Business One support applications (e.g. incident creation, license key request, Note search, etc..). 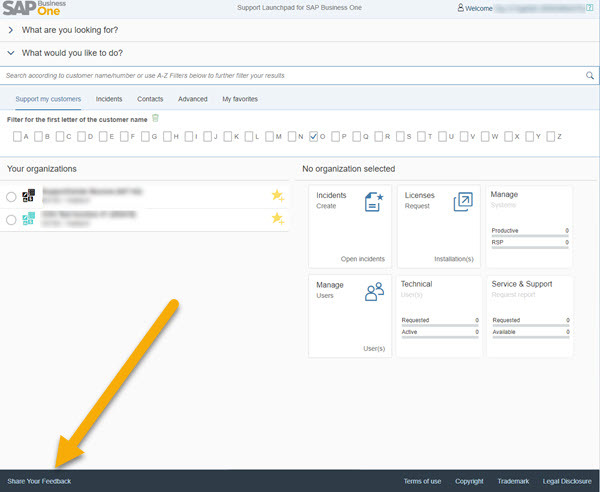 Log-in to Support launchpad for SAP Business One (S-user required). 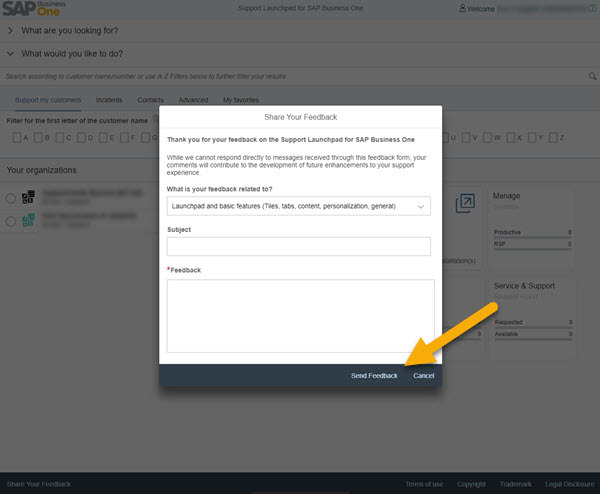 Before submitting your comments or suggestions for SAP Business One Launchpad, please review the list of temporary limitations / known issues and evaluate whether it answered the purpose of your intended feedback. Please also note that individual replies and support will not be provided through this feedback process.To proceed to the feedback form, click on “No“. 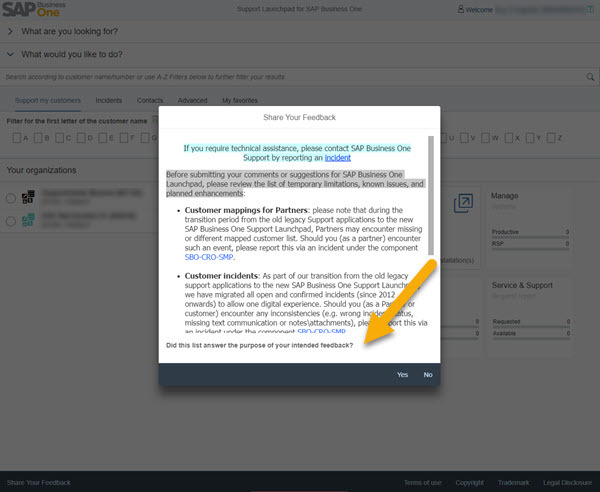 Choose the support application that relates to your feedback (or leave the default option in case of general feedback), include a detailed description and choose “Send Feedback“. We value you thoughts and ideas… Get started today and let us know how we can help you run better !